Bao grew up cooking with his mother in the family’s Vietnamese restaurant in Brisbane, Australia. 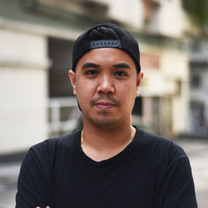 He now heads up the kitchen at Saigonese grill house, Le Garçon Saigon, in Hong Kong where he strives to change perceptions of what Vietnamese cuisine should be. "“Typhoon shelter” grilled Vietnamese mud crab, lemongrass, garlic, Phu Quoc green peppercorns, curry leaf #typhoonseason"
"chicken juice 333 beer sauce #sabeco"
"Couple of newbies on the menu. Come try!" "Couple of newbies on the menu."